360-degree content is one of the latest trends taking the social media world by storm. After all, 360 is the ultimate way to immerse people in the action as it unfolds around them. Since 360 is such a new content medium, there are varying levels of native support across each social platform. Below is a summary of the major social networks and tips on how you can share 360 videos and photos with your friends and family on each. If you’re sharing 360 content on social media, be sure to tag it with #EssentialPhone so we can see all of your awesome content–we may even re-share it on our channels as the #360oftheweek. And if you're new to capturing 360 videos and photos, check out these Essential 360 Camera tips. Upload your 360 photo or video as normal, Facebook will automatically identify that it’s a 360 asset. Set your desired "starting view" – try to hook your audience with this and give them reason to explore all 360 degrees of your content. YouTube: Publishing 360 videos on YouTube is a breeze. Just follow the regular uploading process and YouTube will automatically recognize that your video is in 360 and publish accordingly. Follow these steps if you ever run into issues where your 360 videos are being uploaded as “regular” videos. Vimeo: Follow the normal video upload process on Vimeo. Be sure to check the video file settings to confirm the 360 video format box is checked and the source type is Monoscopic. You can also access the advanced 360 settings to change field of view - this impacts what’s visible to viewers (you can set between 30-90 degrees, 50 degrees is the default) - and the default orientation to set what viewers will see when the video starts. Videos: 360 streaming coming soon via Periscope. Photos: Twitter doesn’t natively support sharing 360 photos, but luckily there are 3rd-party services that make this quick and easy. One of our favorite platforms is Kuula–a free service that lets you upload 360 photos and share them on Twitter (they appear in-stream as if posted natively), along with other platforms including LinkedIN, Medium, Tumblr and more. While Instagram does not currently support immersive 360 photos or videos, you can still post awesome content on IG using your Essential 360 Camera. 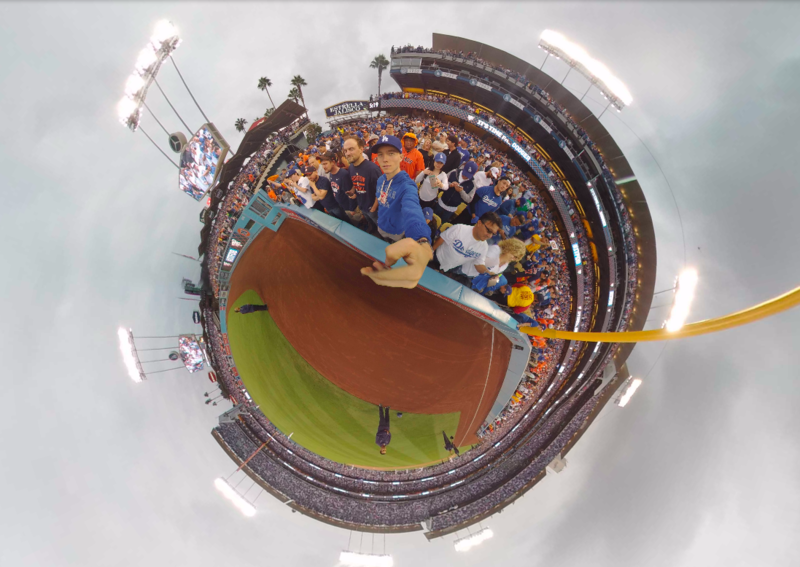 One of our favorite ways to do this is by turning a 360 photo into a flat “Tiny Planet” image. The results can be stunning and are sure to bring in the IG likes from your followers. There are several apps that can help you create Tiny Planet images, and plenty of inspiration on the IG hashtag #360selfie.